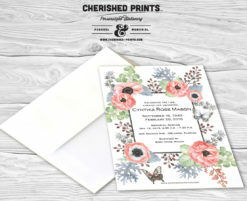 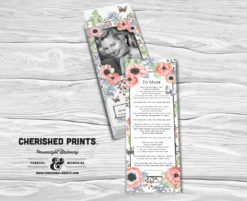 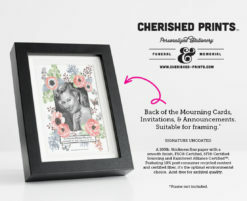 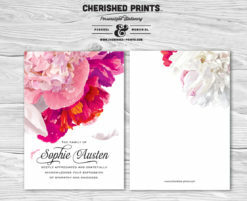 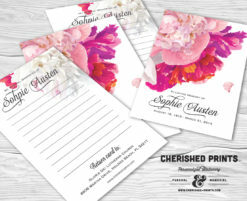 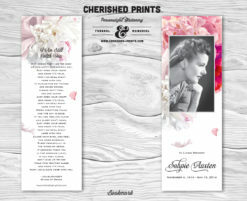 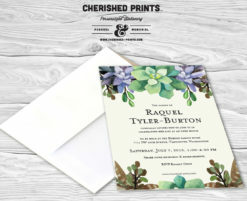 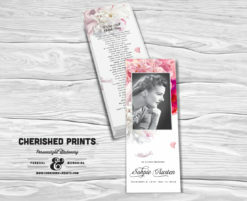 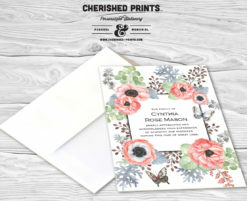 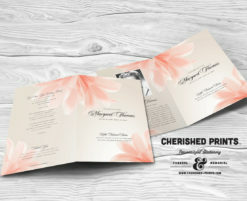 The Beautiful Soft Peonies Prayer Cards, Memorial Cards, and Funeral Cards are one of the most popular products offered on Cherished Prints. 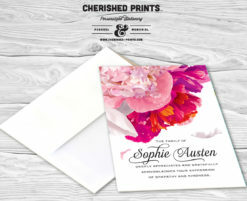 The design exudes softness, elegance, and vibrancy. 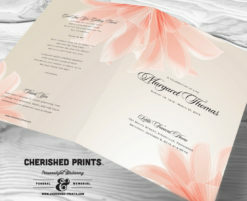 The prayer card can be customized with your choice of colors.